Dr. Tarek Fahmy is dedicated to insure that his patients are getting the dental care that they deserve and exceed their expectations. Shortly after he earned his dental degree Dr Fahmy and his wife, who is also a dentist, decided to move to the United States, where he attended Meharry Medical College in Nashville, Tennessee and earned a certificate in Hospital Dentistry through the General Practice Residency Program. Later on he decided to sharpen his dental skills by attending Northwest Dental Residency/Advanced Education in General Dentistry at Yakima Valley Farm Workers Clinic (YVFWC) in Yakima, Washington, where he served the people of the Yakima and Toppenish communities. 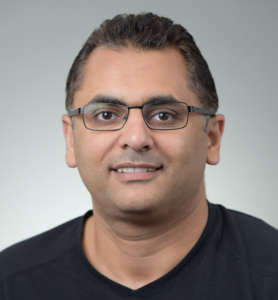 In 2009, Dr. Fahmy moved to Vancouver, Washington, where he practiced as an associate dentist for three years before he opened his own private practice; Vancouver Dental Care. Now Dr. Fahmy is happy to freely apply the latest technology along with the experience he has acquired during his dental journey in serving the Community of Vancouver. Besides Dentistry, Dr. Fahmy enjoys spending time with his four lovely daughters, camping and playing volleyball.